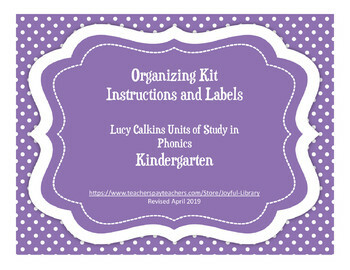 These resources were developed as an organizational system for the Lucy Calkins Units of Study in Phonics. 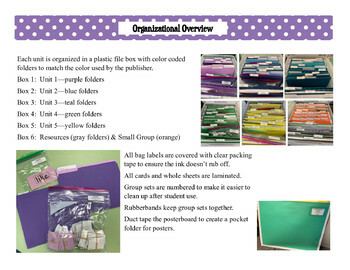 This storage system allows teachers to access the materials easily while keeping the pieces for each kit, unit, and session together. 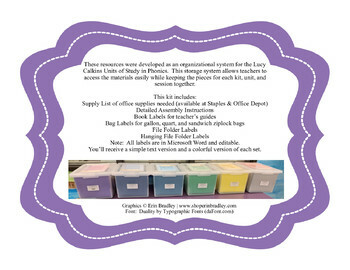 Note: All labels are in Microsoft Word and fully editable. 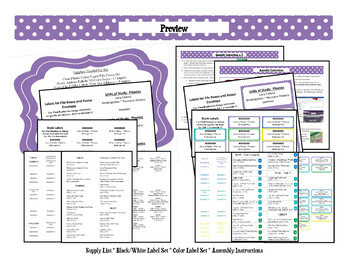 You will receive a simple text version and a colorful version of each set.